Golden Week holiday saw visits from the Chinese mainland to Macau increased to about 970,000 from October 1 through 7 with a total visitor count of about 1.15 million. Chinese visits were up 6.9 percent year on year while overall visits increased some 8 percent over the holiday period in 2015. 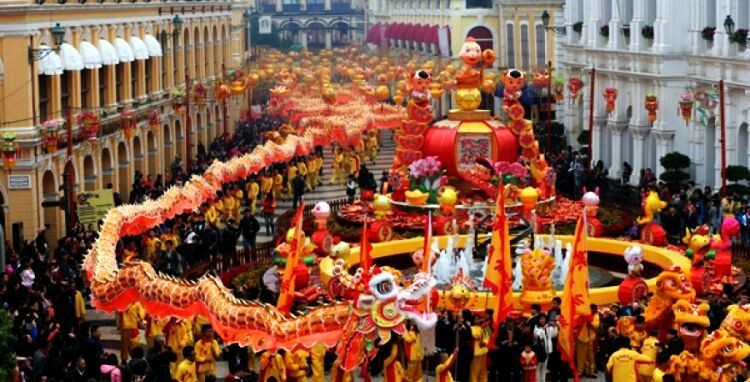 According to local reports citing a release from the Macao Government Tourism Office, hotel occupancy overall was up to 92.3 percent, while five-star accommodations saw a rate of 94.4 percent as tourists traveled during the week that begins annually on Oct. 1 with the National Day of the People’s Republic of China. The legal holiday is only 3-days long, but Mid-Autumn Festival on the 4th, deferred holidays, and absence of leave allow for 7 or 8 days of leisure. Part of the increase, whose numbers were mainly mass-market gamblers and tourists rather than VIPs, may be due to curiosity about the newly opened Wynn Palace and Parisian Macao in Cotai. The opening of the new mega-resorts also drove down room prices across the SAR, with some reports stating a 50% average drop in room rates. The laws of supply and demand would indicate an increase in room rates as more visitors compete for available accommodations, but the Macau economy is still in a period of transition to growth and the high occupancy rates following the addition of some 5,000 rooms speak well for the industry’s move toward the mass market. After 26 consecutive months of contraction, Macau began to see gains again in August and September with gross gaming revenue rising 1.1 percent in August and a little more than 7 percent in September. Golden Week should buoy the numbers for a third consecutive month, with mixed and mostly positive predictions for the remainder of the year.